Business Funding - What Is a Business Loan? 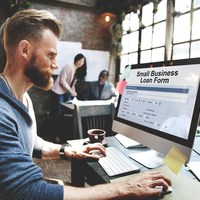 Business loans are a type of commercial loan and represent one of the most recognised and applied ways of business funding, particularly for small businesses. Granted by a lending institution, loans for businesses are to be repaid along with interest, or other financial charges.The purpose of business loans is often to start, run, or expand the business. It can be applied towards expenses, paying wages, or running business projects. Getting a business loan depends to a great extent on a proper representation of its purpose to your company. Having a clear outline of how the money is to be spent is, thus, crucial when applying for it. The outline is then directed towards the lenders who, based on its content, approve the funding for small business. Some small business loans can help with maintaining proper cash flow by offering access to short term loans. Others, on the other hand, may be long term loans used to cover expenses or fund expansion plans. Get more information on available business loans by filling in the form found on the top of the page. Our suppliers in the UK will provide you with up to four free, no-obligation quotes and will guide you through the processes of finding the best business loan! Loan Options - Which Business Loan is Best for Your Business? As a small business owner you are most probably considering the ways to expand your business and give it that extra kick. As an entrepreneur, you certainly look for ways of funding for small businesses. In both cases you are facing a challenging task ahead of you. Convincing someone to give you a loan for business can be a challenge. Luckily, you have the choice of who you can ask, and how to do it. Variety of business loans are provided by multiple sources starting from government institutions, banks, or online lenders like Kabbage or Funding Circle. Small businesses with extensive financial history, great credit and collateral have a better chance of getting a business loan with a bank. Due to the financial crisis of 2008 banks significantly tightened their policies and reduced the amount of risk they can take, especially when it comes to the loans for businesses. As a result they carefully evaluate each candidate by strictly following their established criteria. Therefore, ensure you are aware of the application process for the specific type of business loan you are applying for, whether you're looking into startup loans, business loans for women, or short-term loans. Start-ups may benefit from a government Start Up Loan scheme that are specifically directed towards young entrepreneurs. Those who just start their business and have a solid business plan can apply for business loans up to £25,000 with interest payable of 6 % a year. Government institutions also support small businesses that would like to expand their company or cash flow, to keep the processes running. Additionally, the government also offers loans for businesses through The Prince’s Trust or through Enterprise Allowance scheme, as well as many others. Similarly, start-ups and small businesses can both benefit from the widespread activity of financial technology companies such as online business loans. They are providers and promoters of more and more popular online business loans. Since the digital literacy has significantly increased, these companies started to create innovative solutions to fund and support businesses. They offer wide range of loans for businesses, from short term business loans, to long term business loans. A good example of this are crowdfunding sites, where your business or a project can be funded by a large number of people through an online platform. One of such sites is Funding Circle which cooperates with the Government-owned British Business bank. The bank that is lending £80m to businesses through the platform. Online lenders revolutionised the borrowing process by reducing the amount of time you spend on applying and how long does it take to receive the loan. Loan Options - Which Business Loan Is Best for You? Before you decide which type of business loan suits you best, become familiar with the most common business funding options. This type of a loan for business is connected to collateral - an asset such as property, car or other guarantee. By providing an asset, chances of getting a business loan increase, loans for bad credit and the interest rates are usually lower. Similarly, a secured loan for business carries less risk for the lender as it can take possession of the collateral if you do not manage to repay your loan as agreed. In simple terms, an unsecured business loan does not involve collateral. Examples include credit cards or personal loans. Expanding a business, making large investments or refinancing are supported by long term business loans. Receiving the loan means more time to repay - it is usually repaid on a monthly basis. They also tend to encompass larger amounts. The downside however are the qualification criteria. Long term business loans are easier to obtain if you own an already established business with strong performance and finances. While it can be tricky for younger businesses, it can also be an option for funding for small businesses with good finances and solid growth plan. In contrast to long term loans, short term business loans are repaid in the full amount, at the end of the agreed term. They are also specifically directed towards different purposes that are often of temporary character e.g. completing small project or building up an inventory. Those business loans are however issued by banks and credit unions. Working-capital loans are example of short term business loans which purpose is to finance everyday operations of a business. That would include wages, buying inventory or covering accounts payable. These loans for businesses are mainly aimed towards companies that are seasonal or have cyclical sales cycles. Short term business loans are provided by banks and alternative lenders. Line-of-credit loans are principally directed towards small business owners. These business loans protect business from emergencies and slow cash flows. They are typically unsecured thus collateral is not required. They allow you to take only what you need, and then pay for what you have used. However, this type of loans for businesses might involve additional fees and interest rates tend to be higher. If you search for extra cash to buy computers, copy machines, vehicle or even manufacturing or production machinery, you can apply for equipment loans. These allow you to make monthly payments instead of purchasing everything at once. This type of a loan for business is only for a single piece of equipment you buy, which means you have to apply each time you need to purchase a new item. However, equipment loans are often easier to obtain than some other types of loans because the purchased or leased object serves as collateral. Getting a business loan should start with in-depth research on business funding options. Given the variety of loan types, make sure you acquired a good understanding of what is out there. The process of receiving money differs between the loan providers. If you choose to borrow money from the bank, you must be aware that the process can be longer and more complex than the one carried out digitally. Securing business loans from a bank is not an easy task. Before approving the loan, banks carefully evaluate your business starting from the company’s history, the amount of debt the company has or what are the risks involved. Regardless of which provider will you choose, most of them require similar information. Before filling out the application, organise the information you have so far. Answer questions like: Why are you applying for this loan? How will the loan proceeds be used? Who are the members of your team? Eventually, bear in mind that banks, or government institutions, may demand more as their business loans tend to be the most beneficial to business owners. Business funding rates offered by those institutions are usually lower in comparison to any other lenders. On the other hand, searching, and applying online will most probably be less burdensome. Online lenders often just ask for filling out the application without the necessity of presenting a particularly detailed business plan. Getting an online business loan is thus faster. Non-bank business funding available may include short term or long term loans such as: cash advances, asset-based loans, peer-to-peer loans (online business loans) or more and more popular crowdfunding resources. Granted business funding however can be much smaller and tend to have higher interest rates. Getting a business loan differs among the lending institutions. However, banks and government institutions usually have similar requirements. Make sure you have enough time on your hands. Loans can take between 30-60 days to be processed, depending on a bank. You need to have good personal credit. Though you are applying for a business loan, your personal credit will be evaluated as well. For instance, it will not be possible to receive a start-up loan if your personal credit is weak. Excellent business score - you typically need to have an outstanding business score and credit history to be considered for any business loans. Collateral. Most of business loans are secured with assets. It could be machinery, office equipment, a real estate the business owns and operates in, or even its intellectual property. Collateral is not always a requirement, but it is necessary for most of start-up loans. The most important step however is your business plan - a thorough, detailed, and realistic outline of what your strategy is. This would include well-documented cash flow and several years of past, and future financial statements. Given the risk the bank is taking, it would most probably like to see if you have taken out insurance to cope with the likelihood of loss and failure. You should remember that a business plan serves as a way to convince bank of your intentions, and first and foremost of your success. Firstly, have all the relevant information prepared (business plan, a couple of months of business records). The company may want to know more details about your business. Some companies allow you to input your information and link your revenue data online. The required bank records usually date back to only a couple of months and receiving the business loans takes only a couple of days. Next step usually involves filling out an application, which is then reviewed by the company and decision makers. Depending which way of business funding option you choose, the loan is either listed on marketplace and funded by investors, or you receive information on how much capital can you get from the company. 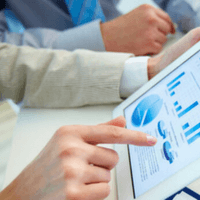 Business loans can be a very good solution for various business objectives, however it is important to be aware of pros and cons of business loans. One of the advantages of getting a business loan involves maintaining full ownership of your company. In comparison to venture capital in which an investor gets a part of the ownership, business loans offered by banks and some of the lending networks, are non profit sharing. Additionally, they offer multiple options for business funding. Although hard to get, business loans offered by banks tend to have lower interest rates. Contrary to the common belief, you may also find online lenders who do not necessarily charge the highest rates. Most importantly, some businesses taking loan from a bank can benefit from tax exemptions as the principal and interest payments on business loans are classified as business expenses. Thus they can be deducted from your business income taxes. Cumbersome and lengthy application process can act as discouraging factors when applying for a business loan. In case of the need for immediate funding, companies may quickly give up. Thus the emphasis on doing a proper research - know your options. Still, the long list of prerequisites to qualify for a loan is just another aspect that companies are put off by. Consequently, businesses and start-ups seek alternative ways of business funding. In the end, acquiring business loan means repaying it with interest. It can get even more expensive if you fail to repay the amount borrowed. As a result, you may lose the assets with which you secured your loan. Now that you have an overview of what are your funding options, you may notice the variety of choices. Banks, government institutions and online lenders provide business loans that can specifically address your position and your needs. The most important thing is to keep your eyes wide open, a thorough research in this case is highly recommended. Although the amount of information may seem overwhelming, do not underestimate its power. 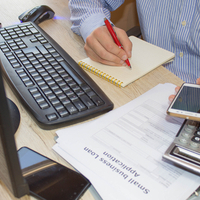 Finding the best business loan depends on knowing what your options are. So dig in! If you wish to get a professional advice on what are the best business loan options, fill in the contact form at the top of the page. We will provide you with up to four, free and non-binding quotes to help you choose! Completely free of charge!